Automating your marketing processes does two big things for you; it frees up time for your Sales and Account managers to close more deals and allows you to focus more on content and strategy. Setting up an automation is super easy. Simply tell eMarketeer what you would like to have happen, when it should happen, and what should trigger it. You need complete control of your marketing processes. Your campaigns are never restricted to limiting scenarios. You decide how your work flows should look. You can schedule and delay automations to create the perfect lead nurture campaign and notify sales when the lead is qualified for contact. Marketing automation works across all of your marketing channels. Lead nurturing on auto pilot or a welcome process for newsletter subscribers – the possibilities are endless. Use lead behavior to trigger automations. Actions like link clicks, opens, form submissions and specific answers to questions are just a few of the triggers that can initiate an automation. Some automations should start sequenced drip campaigns towards a new leads and others should alert sales about what is going on. You have complete control over who gets what information and when. An automation can be triggered by a form answer and start an email campaign flow that also segments the leads into specific lists based on behavior and concludes by delivering a mobile app. No restrictions! 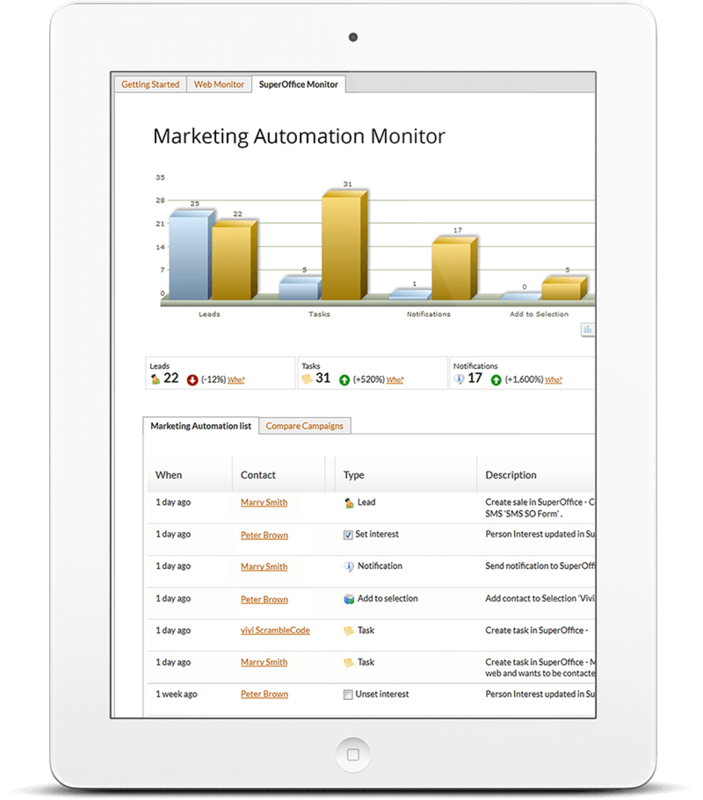 Full overview over the tasks, leads and activities you send to your CRM platform with automations dashboards. 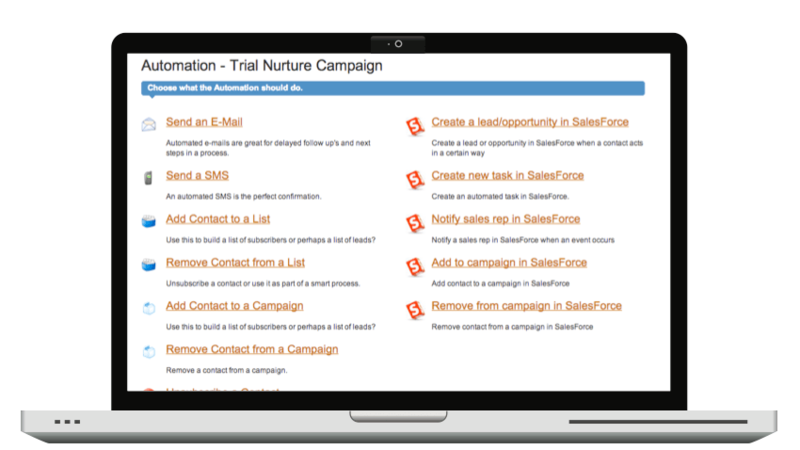 Easily track performance across campaigns with drill down detail level on anything handed over to the CRM.